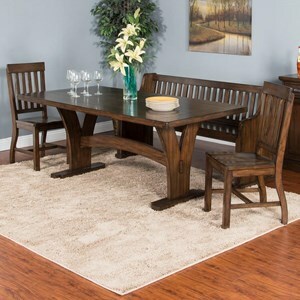 Comfortably seat up to six for dinner at this mission style trestle dining table. 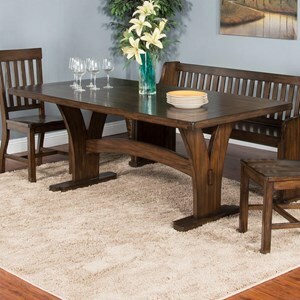 Made from mahogany solids and veneers, the table features an arched stretched and mortise and tenon joinery for a classic Arts & Crafts design. The slatback side chairs and the slatback bench complete seating at the table. 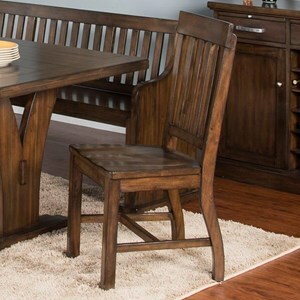 The Lancaster 6-Piece Trestle Table Set with Bench by Sunny Designs at Bennett's Furniture and Mattresses in the Peterborough, Campbellford, Durham, Lindsay, Haliburton, Bancroft, and Kawartha Lakes area. Product availability may vary. Contact us for the most current availability on this product. 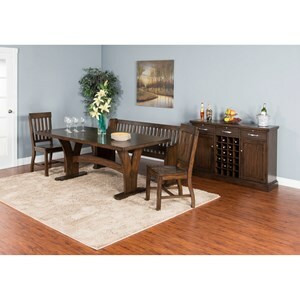 Updated mission/Arts & Crafts styling will make your choice of pieces available from this dining collection a timeless addition to your home's decor. 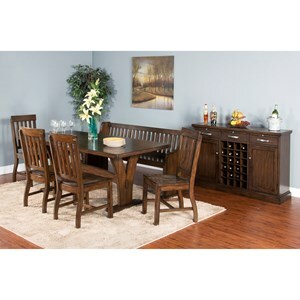 The Lancaster collection is a great option if you are looking for Mission furniture in the Peterborough, Campbellford, Durham, Lindsay, Haliburton, Bancroft, and Kawartha Lakes area. 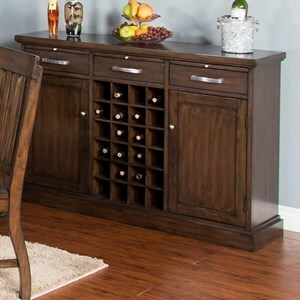 Browse other items in the Lancaster collection from Bennett's Furniture and Mattresses in the Peterborough, Campbellford, Durham, Lindsay, Haliburton, Bancroft, and Kawartha Lakes area.